Carl Rogers made a lot of sense in 1967, and he still makes sense in 2011. Like many students in psychology in the 1970s and 80s, my wish was to become a psychotherapist. Rogers’s client-centered therapy fit me and countless others like a glove. We were immersed in the human potential movement and encountering our genuine and authentic selves was a common quest. Symptoms and syndromes often took a backseat to self-discovery and expression in the therapeutic hour. Personally, I miss those times. It is easy to assert that Carl Rogers reflected the humanistic movement of the 1960s. True enough, but his work also reflected a number of larger social trends with origins in the 1930s. Rogers studied at the progressive Union Theological Seminary in New York City, and crossed the street to earn his PhD at Columbia University in 1931. Those early years in seminary and at Columbia pointed Rogers toward a lifelong commitment to the phenomenology of the self and the demands of psychological science. Indeed much of that balancing act is outlined in the 1967 interview with Mary Harrington Hall. Rogers also came of age intellectually in the Great Depression, during which the scale and scope of human suffering demanded attention from all quarters. One expression of this in psychology was the formation of the Society for the Psychological Study of Social Issues (SPSSI) in 1936. By then, Rogers was working at the Society for the Prevention of Cruelty to Children in Rochester, New York. It was his work with children in need and crisis that supported the emergence of his client-centered approach. Much of this can be seen in his first book The Clinical Treatment of the Problem Child (Rogers, 1939), made more explicit in Counseling and Psychotherapy (Rogers, 1942), and achieving extensive visibility in Client-Centered Therapy (Rogers, 1951). Central to Rogers’s point of view, and in direct opposition to a much more popular practice in counseling, the therapist was non-directive. It was believed that the clients (children or adults) would be able to resolve issues and find their way if they were presented with an accepting and empathic listener who would join rather than direct their journey. This was humanistic psychology! At the same time that Rogers was formulating his views, a very similar activity was underway at Western Electric’s Hawthorne Works in Chicago. It was here that Elton Mayo conducted his famed Hawthorne studies, a collection of experiments designed to discover what workplace factors could be altered to increase productivity. The most well-known studies are the ones that measured the effects of lighting. The finding that attention paid to workers outweighed the effects of illumination in increasing productivity has become the oft-cited Hawthorne effect. There were many other studies undertaken, including an interviewing program that examined workers’ attitudes. Mayo became interested in the workers as individuals and developed interview methods that focused on attentive listening to the worker without judgment or interruption (for more see Mahoney and Baker, 2001). The method became known as nonauthoritarian interviewing and a full description is included in a book describing the Hawthorne studies called Management and the Worker (Roethlisberger & Dickson, 1939). Many researchers credit this method with starting the human-relations movement in industry. Rogers was well aware of Mayo’s work at Hawthorne and approved. Rogers was finding an increasingly receptive audience for his theories and methods. At Ohio State University, the University of Chicago, and the University of Wisconsin, students eager to learn psychotherapy greeted Rogers with interest and enthusiasm. In the 1940s, another major world event carried Rogers and his work further. World War II highlighted the need for a national mental health workforce. Psychiatric casualties of war far outstripped the available supply of practitioners. The National Mental Health Act of 1946 sought to remedy the situation and in the process gave us such things as the National Institute of Mental Health and the Boulder model of training for clinical psychologists. Like many psychologists of his day, Rogers contributed to the war effort. Under the supervision of Rensis Likert, he interviewed gunners upon their return from battle missions. The data he gathered were used to generate recommendations that would help gunners adjust to civilian life. Working as director of counseling services for the United Service Organization (USO) he developed a program to train others to provide nondirective counseling to returning veterans. The need for effective methods and techniques that could be quickly acquired was a priority, and client-centered therapy fit the bill. Not only had the world changed, but so too did American psychology. 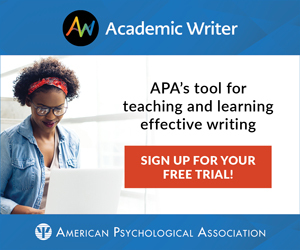 As a result of the war, those who identified themselves as applied psychologists joined with academic psychologists in 1945 to create a reorganized American Psychological Association (APA). Carl Rogers became president of the APA in 1946. In the postwar period, professional psychology came into its own. Healthcare benefits grew to include psychotherapy, and psychologists fought hard to earn recognition as providers and receivers of third-party reimbursement. Clinical and counseling psychology programs flourished. Individual and group therapy approaches using Rogerian principles became a staple of training programs. Once again Rogers and his methods proved to be flexible. Most of his earlier work served the aims of adjustment, be it the adjustment of a child to a foster home or a returning GI to his community. In the 1960s, the concept of adjustment was replaced with the goal of self-fulfillment. Counseling and psychotherapy became tools for self-discovery, and the quest for self-knowledge grew in popularity. The phenomenological and humanistic core of Rogers’s work was well suited to this new environment. But the times do change. Today, there is increased competition for healthcare dollars as well as calls for greater accountability in the provision of psychotherapy. Training programs for mental health practitioners have proliferated, as have calls for the establishment of empirically validated treatments. It is no longer a given that the client-centered approaches developed by Rogers some 70 years ago will be an anchor in the training of mental health professionals. However, as history has taught us, some individuals and innovations stand the test of time and remain there for us when we need them. I like to think this is true for Carl Rogers. David Baker is the Margaret Clark Morgan Executive Director of the Center for the History of Psychology and professor of psychology at the University of Akron. His primary research interest is the history of psychology. He can be contacted at bakerd@uakron.edu.